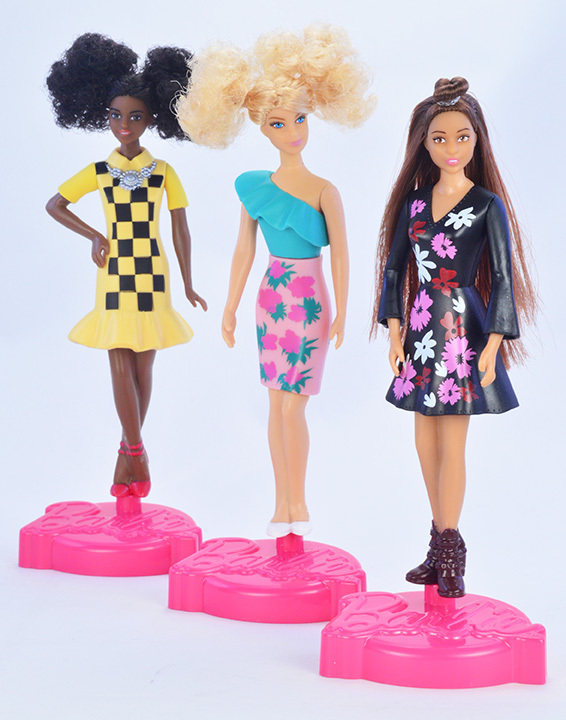 Write in style with Barbie Fashionista Pens! The beautifully stylized pens with real hair to brush and style offer hours of 2-in-1 fun! Enjoy traditional doll play or use as a creative tool that you can really write with! Includes a pen stand, that’s perfect for displaying your Barbie pens. Collect all three styles June, Maya and Millie. Barbie fans of all ages will want to get their hands on this!